New parenthood affects people in many wonderful and difficult ways, from the terrifying amount of love you feel for this small bundle to the daily challenge of sleep deprivation. And then there’s the impact on family finances. Suddenly, you have many brand-new expenses (hello, child care) and zero time to look for new ways to save. So we did the searching for you. 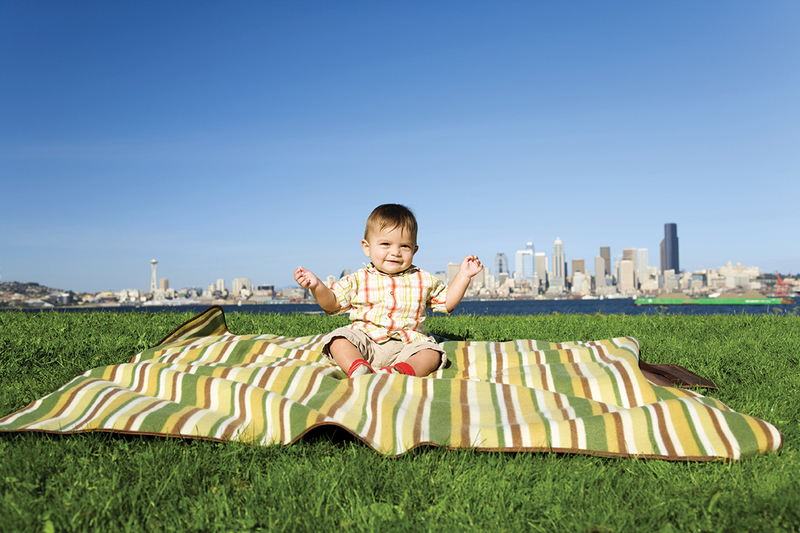 With the help of our readers, we’ve scoured the Internet and other sources for the most wallet-friendly ideas for surviving and thriving with babies in tow around Puget Sound. Here are 25 of our favorites. And remember: Babies might be expensive, but they will never complain about secondhand onesies, diapers or toys. Diapers, baby clothes, high chairs, car seats, bottles: It never ends! Here are websites and tips for saving on all that stuff. 1. Get free stuff! Join a local Buy Nothing Facebook group, where you can post wants and needs, browse items up for grabs and donate goods you’d like to get out of the house. And you’ll get to know your neighbors in the process (win-win-win!). 2. If you can, go with reusable diapers, which can save you $1,000 or more over the diaper-changing years. Local services such as Baby Diaper Service make it simple. 4. Save on groceries by making your own baby food, a process that can be as simple as mashing an avocado or microwaving a sweet potato. 5. When you can’t find gear for free, buy used. Beyond Value Village and Goodwill, shop Craigslist and local family-oriented consignment or secondhand shops, such as Saturday’s Child in Bothell, Kym’s Kiddy Corner in North Seattle and Hopscotch Consignment in Bellevue. 6. Thrifty NW Mom’s website offers family-friendly saving tips on everything from diapers to vacations, as well as printable coupons on local deals. Discover more sales, deals and tips on cute gear and clothes at Seattle Moms Deal Finder. 7. Find fabulous deals on baby stuff at BabySteals, and for older kids at KidSteals. 8. Frugal Living NW is a one-stop shop for deals, sales and ideas for practical frugal living. The site posts details of sales from major retailers, promotes local businesses and rounds up coupons that you can use. 9. Put yourself on the Jack & Jill list to get word of its giant consign-ment sales, held several times a year and offering loads of baby and kid gear. 10. Want to invest in baby clothes that are so high in quality, you can pass them onto your children’s children? Get Hanna Andersson clothes at cut-rate prices at its Woodinville outlet store. 11. Reuse, then resell. Babies grow quickly, so you’ll be able to sell your baby’s things on Craigslist or eBay before you know it. Gear such as cribs and high chairs will hold up especially well. Connecting with other parents and community resources is critical, and doesn’t have to be expensive. 12. Think you can’t afford a doula? Browse Doula Match, which profiles thousands of doulas with fees that range in affordability. 13. Costs associated with breastfeeding — from a pump to a lactation consultant and more — should be covered by your health insurance plan. Check with your plan and find out more at healthcare.gov/coverage/breast-feeding-benefits. 14. Maximize all the credits you can for child care. If your employer offers a Flexible Spending Account (FSA), for example, you can set aside funds (up to $5,000) for child care. You can also claim up to $3,000 in child-care expenses per child per year on your federal tax return (though you can’t claim the maximum for both an FSA and child-care credit). 15. Child care is often the single biggest added expense new parents face. To save, consider a nannyshare, a home-based child-care center (but make sure it’s licensed and high quality) or an au pair (who can also teach your child a second language!). 16. Join a hospital-provided breastfeeding support group, such as those offered at several Swedish Medical Center locations, where you’ll find expert advice and sanity-saving social connections, for an affordable fee. 17. 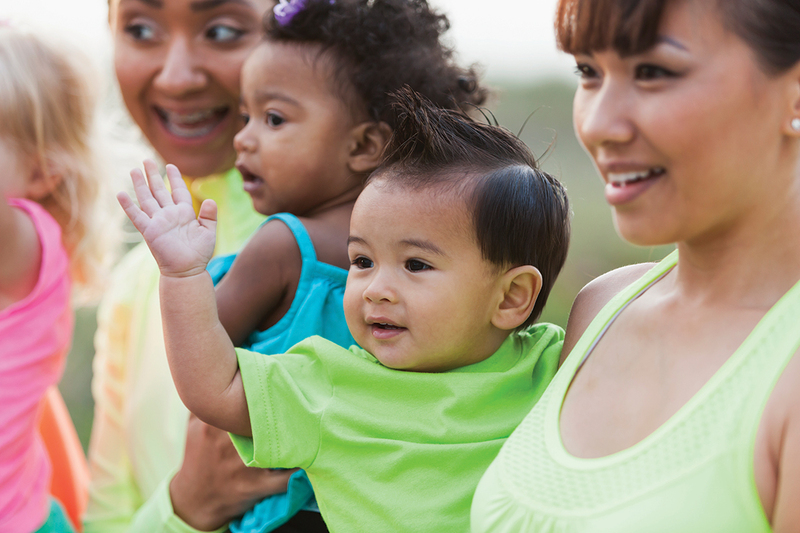 PEPS, the flagship support program for new parents in the Seattle area, offers financial assistance for joining its parent groups. Apply here. 18. There are many free parent groups offered through local Listservs, Meetup and other platforms; find an extensive local list. Or, if you have friends with babies who are the same age as yours, form your own group and meet up weekly at someone’s home or a baby-friendly coffee shop. Ready, set, get outta the house! 19. Try one of the many kid-friendly cafes in the Seattle area; your baby might not be old enough to play with the toys yet, but you may find a new friend. 20. Get outside, make connections and fight off isolation by joining a local Hike It Baby group, a fast-growing network that offers parent-led hikes almost every day of the week. 21. When your baby is a little older, your local pool is an inexpensive and fun outing, and it gets your babe used to water. Try the heated therapy pool at Lynnwood Recreation Center; find a complete list. 22. Many libraries and bookstores feature a free baby or toddler story time. 23. During the rainy season, many local community centers have indoor baby/toddler play times several days a week for a small fee. Find a list at parentmap.com/rain. 24. Take advantage of the portability of your infant and check out a local museum exhibit on one of the many free-admission days at museums around the Sound: Seattle Art Museum is free every first Thursday, and the Henry Art Gallery is now free every Sunday. 25. Take your baby on a nature outing at one of the Puget Sound area’s gorgeous, peaceful gardens — such as Bellevue Botanical Garden, Kruckeberg Botanic Garden or Kubota Garden — for free, any day of the week.